A 21+ lifestyle event, Run2Date is a social 5K catered toward single, active, professionals. Living our day to day schedules in a city like Miami can easily make it HARD to slow down and meet like minded human beings. This was the inspiration behind Run2Date, an attempt to encourage others to step outside of their comfort zone, step outside of the gym, and trying something other than happy hour. What makes this 5K a little bit different is that registration is based off of your relationship status, whether your up for grabs, it’s a little complicated or your “hooked up”, Run2Date is about meeting, and connecting, away from all the apps. 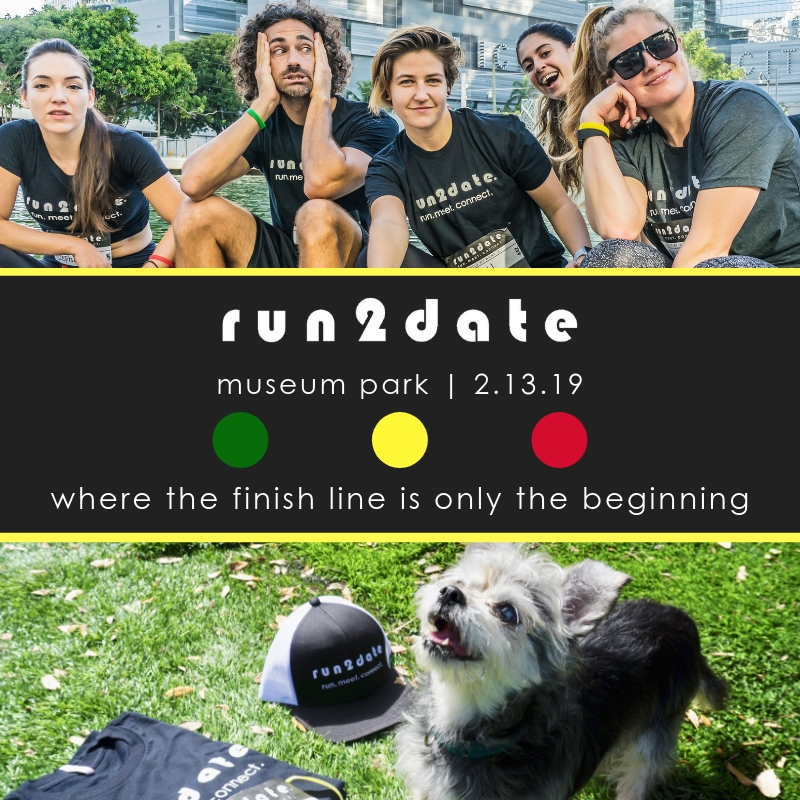 Run2Date is so happy to partner with the Humane Society of Greater Miami for year 2. It’s a cause that sits near and dear to their hearts, and choosing to help the fur friends of their community came naturally.